With Gamescon coming up on the 23rd-26th August, touted as Europe’s largest trade fair for digital gaming and entertainment culture and communities, there are a heap of new releases and updates from gaming companies to capture the attention of the market. First up, something for Sonic fans. Sega has released some new cut scenes from Sonic Forces™ that shows Sonic’s mysterious new enemy, Infinite, during E3. We're intrigued at this addition to the familiar cast of characters - Eggman, Chaos, Metal Sonic, Shadow and Zavok, if you're also intrigued, check him out here. As with all villains, you also need a mean soundtrack to give the type of fanfare that baddies deserve. Take a listen below. Due to be released at the end of August, is the classic remake of Yakuza made back 2005 for the PS2, this new remake Yakuza Kiwami made exclusively for the PS4 is not just a simple graphical upgrade. It adds a good 30 minutes cutscenes to give better back story and narrative to the game’s plot line and links it back to the series prequel Yakuza 0. For all newbies to the series, take a look at the dedicated portal Yakuza Experience website, where there is an interactive timeline and character map. It also gives you a good base on the history and characters of the series. There’s also a bonus of the 10-issue digital comic, where you get to preview some of the key happenings on Yakuza 6: The Song of Life which is coming out on the PS4 early next year. Whether you’re a fan of the series already or just a newcomer, it is worth noting that this version is rebuilt from the ground up with all new HD assets, and has exclusive Japanese voice audio that has been re-recorded by the original series cast. Gamious will be unleashing their multiplayer 3v3 racer Team Racing League for early access on the 11th of August this year. 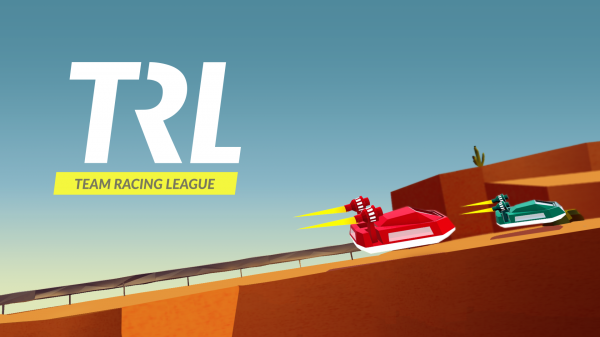 This game puts a new spin on the classic racing game instead of just aiming to finish first, you must work in a team of 3 and together you must master skills, ensure track focus and interact with your teammates. The game gives you free reign on your playstyle, whether it be racing to the end, trolling your opponents or supporting your teammates. But no matter what you choose working together is the key to coming first. It features intuitive controls and unique mechanisms such as the roadblock, flamethrower and abilities that allow you to speed up your teams hovercraft. The game was inspired by retro arcade racing games such as Super Off road, Micro machines, and Champion Sprint. Instead of relying on powerups and luck this game is all about teamwork and racing skills. The game will be available on the Steam Store for $9.99/£6.99/€9.99. For any fans of strategy games you should be excited to learn that The Escapists 2 is due to be released on 22nd August on the Xbox One and Playstation 4. This game comes from the award-winning international games label Team17 and developer Mouldy Toof Studios as a follow up to their award-winning prison escape game. 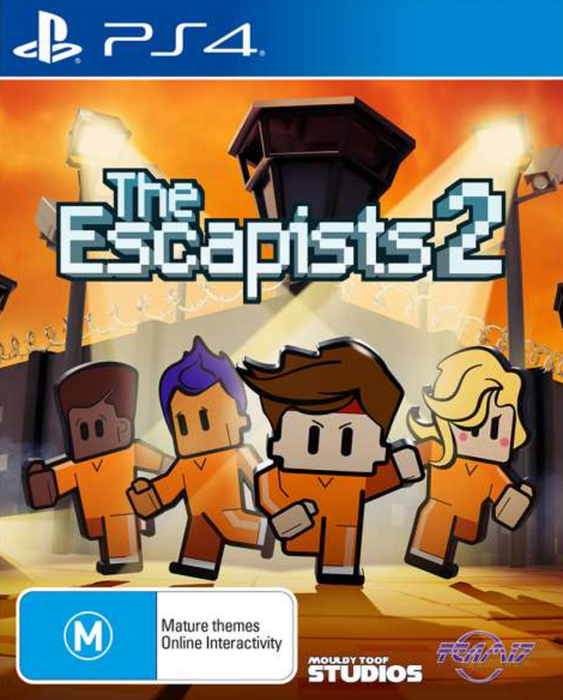 In a first for the series The Escapists 2 will allow for up to four players in both local and online play. This means you can plan and execute a calculated escape with your fellow inmates, or you can simple jump into a game that’s already in progress to help with the final touches of an escape. The game will also feature 10 unique prisons to escape from, with everything from a trip to outer space to a train hurtling through the desert. However your escape won’t be easy, you’ll have to work around a strict prison schedule in order to avoid the attention of guards, gather weapons and tools or just get a job to gather vital supplies whilst scouting out possible escape routes. The game also features a dedicated tutorial for newcomers to learn the ins and outs of the game and the extremely robust character customisation allows you to finally live out your dream of breaking out of jail. As an added bonus anyone who pre-orders from selected retailers will get access to an additional prison, the Glorious Regime. Join in on the fun by creating your Escapist 2 avatar here and share it on social media!